Flavors: Tea has an astonishing range of flavors and aromas: Mystery: How are they created from the hundreds of chemical compounds in the leaf and the thousands that are formed in oxidation? Health: The body of scientific research consistently but inconclusively points to links between tea, especially green tea, and disease prevention and cure. Mystery: How do we prove this and turn it from “more research is needed” to reliable clinical practice? 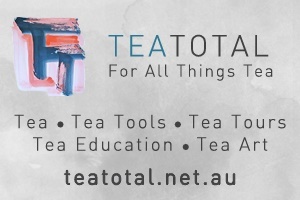 Authentication: There is public concern and evidence of malpractice in tea safety, especially pesticides and additives, adulteration, and counterfeiting. Mystery: How can we know just what a tea package actually contains? Breeding: Clonal teas are core to developing new varietals that fight climate change, improve yield, disease,a and water resource. Mystery: How do we identify candidate “parent” seedlings, develop them faster and reduce the failure rates? Biogenetics is solving more and more of the mysteries. It’s very much a “how” field, concerned with altering the genomes of living organisms. They all involve handling genes as just another material. The foundation of genetic manipulation of tea is knowing what it is that you are manipulating. 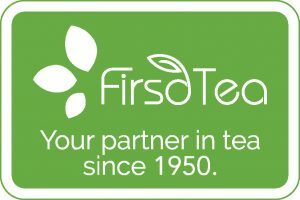 In the eras of tea chemistry, growers, blenders, physician and nutritionists had a broad understanding of the main groups of compounds that gave tea its flavors, determined its farming and processing and contributed to health: antioxidants, polyphenols and the three main bioactive categories: flavonoids, caffeine and catechins. Mapping the tea genome provides the base for exploiting these at a level of precision previously impossible. The genome is the unit of life in multi-cellular organisms. It’s the c omplete set of its DNA, including its genes: DNA sequences that provide instructions to form molecules of proteins. Genes are passed on through heredity. 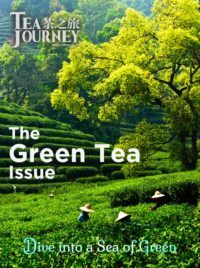 The tea genome turns out to be a unique 80 million-year accumulation of genetic resources. You can think of it as analogous to a computer digital bit stream, which can be mapped in terms of words, fields, messages, headers, signal codes etc. Sequences can be cut-and-pasted, apps written to carry out functions that bind data items to each other, and so on. Basically, anything you can visualize computer software plausibly carrying out on digital data will have its equivalent in biogenetic tools working on the DNA-coded genome. Even using today’s advanced technology, decoding the genome is very complex. Those of coffee and cacao were sequenced in 2014 and 2010. They provide a base for comparison with the tea genome. The 5-year project involved at least fifty researchers and the announcement paper has 25 authors. The genome is extraordinarily long, four times greater than coffee. It contains 3 billion base pairs – bit equivalents. In humans, the 3.2 billion pairs result in 25,000 genes. Scientists are still counting the tea genes, with around 2,000 identified that are unique to tea. There’s no correlation between genome length and complexity of organism. The lily genome, for example, is 100 billion base pairs in length. The genome carries a lot of empty and non-functional coding – “junk DNA.” Much of this seems to be in fact spare information available to handle special cases and provide adaptation. That’s very much the nature of the tea genome. It’s a survival kit. It contains an unusually large number of duplicated genetic sequences. These long-term repeat (LTR) units get copied in new varieties of the plant, very much in a cut-and-paste equivalent. They are referred to as “jumping genes” and reflect how well the tea plant has been able to resist disease and physical stress and adapt to multiple climates. Over five thousand gene families encode functions that contribute to its ability to form the main compounds that give it flavor and heathy growth. including proteins and enzymes It’s very much a blueprint for diversity. One single family has persisted for 50 million years of adaptation and evolution. 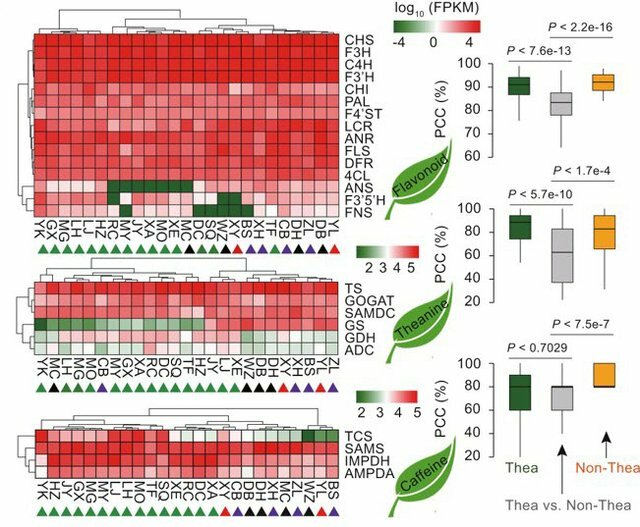 One of the unique features of the tea genome that differs from related plants, including the hundred other camellias, is that it has an overabundant number of copies of the genes that produce the catechins, flavonoids and caffeine that create its flavors and aromas. That’s what makes tea such a wonderful drink – its supercharged with extra flavor makers. Here are a few examples of how the general principles of biogenetics and the specific nature of the tea genome are shaping a new innovation path. 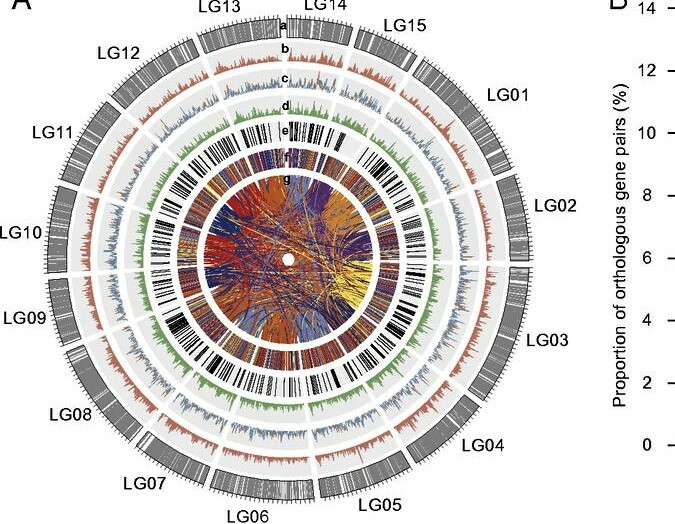 Mapping the genome has already provided new insights on tea quality, flavor and aroma. It has been known for many decades that the chemical interactions with oxygen and heat form thousands of compounds and that more than seven hundred are bioactive in producing flavors. The exact process by which these are activated in pathways has been only weakly understood and very few of the compounds studied in detail. Now, the mapping and profiling is more and more refined and work is well underway to begin biosynthesis – “genetic engineering on steroids” – to produce flavors in a vat. The understanding and opportunity of aromas is expanding fast. These are mostly produced by “volatiles”, unstable compounds. They can be enhanced through cloning of varietals and selection of processing methods. Many of the skills of artisan tea makers have evolved to enhance and combine flavonoids and volatiles. They manage, just in black tea, 133 volatiles formed in processing from plucking to packing: among them 48 carbonyls, 30 esters, 25 alcohols, and 11 hydrocarbons. There is a great deal of activity in biogenetics for foods and fragrances, with a handful of giant multinationals well-positioned. Given the consumer shift to “natural” flavors, variety and fresh aromas, it is only a matter of a few years before biogenetic Earl Grey. The science has mapped the biological pathways in prevention and targets for apoptosis – programmed death cell. The timetable for producing drugs, surgical equipment and techniques for treatment depend on pushing the “D” in R&D, testing and FDA certification. But the questions are more about when than if tea will be part of standard medicine. Whatever benefits tea provides today in terms of prevention, protection and cure get multiplied by biogenetics. The concept of pathways is core here. These are a series of interactions between molecules and cells that assemble new compounds, turn genes on and off, and get reinforced or eroded in adaptation. A useful analogy is with biogenetic trends in cancer treatment. Chemotherapy blasts the body with a radiation grenade. Healthy and malignant cells get hit. Chemical embolization takes a sniper approach. It establishes a physical pathway to a tumor via an artery. A targeted stream of chemical beads surrounds the tumor to choke off its blood supply. The tea equivalent of this is a cup of tea as benign chemo. The brew reaches many parts of the body and pathways are activated as the tea flows through the digestive system. Much of the tea’s ECGC and other healthy polyphenols and antioxidants gets diffused and the single cup impact is small. Biogenetic gene sequencing and guiding molecular markers focus the interaction and can target just the tumor. Special genes can be tailored to specific pathways and interactions. 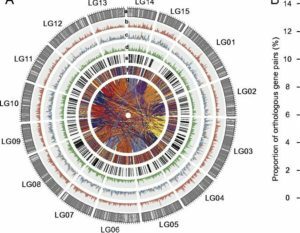 The case for biogenetic use of the tea genome is well-established. It’s a long way to go, though, to turn tea leaf into extracted DNA and design delivery mechanisms. Just about all the work underway today is in the lab not the hospital. Much of the literature on practical results is ten years old. It’s impossible to even guess at how quickly this will change. There can be little doubt that the future of tea in health is biogenetic. The question is when does the future become today? It’s easy to answer the question about tomorrow and today in relation to authenticating tea origin, plant, region, safety, lineage, and ingredients. The future is now. Major firms’ testing labs are incorporating gene profiling. Supply chains are beginning to add DNA bar coding, fingerprinting and verity testing. Gene profiling and techniques such as expressed sequence tagging are cropping up – and cropping genes – across research sites. Neural models are being trained, using scattered but growing data bases, to provide machine learning tools that identify just about any leaf fragment at a 99% level of accuracy. These can validate ingredient lists more accurately than companies’ established labs. The tea plant has developed hundreds of protective genes over a 50 million year period. These constitute genetic markers that can be manipulated at the DNA level. The practical outcomes of the wide-ranging and highly sophisticated techniques of biogenetics and biosynthesis point to a very substantial improvement in propagating new teas. Vegetative cloning is slow, has poor survival rates in nurseries, and poses challenges in rooting due to seasonal differences. 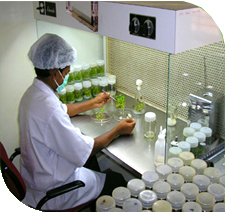 Micropropagation resolves these problems though it has limitations and caveats. 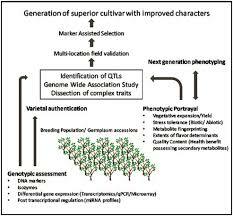 Genome mapping will add to their effectiveness, though it will take time and resources to build multi-generation pedigrees. The bush replenishment cycle for tea gardens is as long as twenty years. So, the future is a few tomorrows away but the economic payoff some years off. That payoff will be large. Micropropagation will breed for climate change mitigation, flavors, yields, resource efficiency and, well, whatever characteristics growers and large producer want. In Japan, vegetative clones of green teas amount to 90% of garden production. 85% of this comes from the Yabukita clonal. In Darjeeling, the AV2 clonal has created varietals of superb flavor. That’s a good news conclusion for this cursory overview of a complex topic. Biogenetic clonals will be critical in fighting climate change. They are high on the agenda for breeding for diversity. And, perhaps best news of all, they will help bring back wild trees. All these estimates about when does tomorrow arrive are as likely to be under- as over-optimistic. Progress is staccato rather than smooth. Surprises can come from anywhere at any time. It was a Chinese university team that in 2018 completed the five-year sequencing of the tea genome that it announced in 2017 and that solved the greatest mystery of tea: what’s in the leaf? A Swedish-led study produced one of the most stunning findings in tea research, that it turned off DNA markers related to estrogen health risks but only in women (2017.) There’s an intriguing and offbeat body of research from Egypt on green tea as an active agent in the biosynthesis of silver nanoparticles used in wound dressings and catheters. Stunningly creative and practical work on biogenetic tea breeding is being done in Indian labs and outstanding progress in tea authentication is coming from Pakistan and New York.